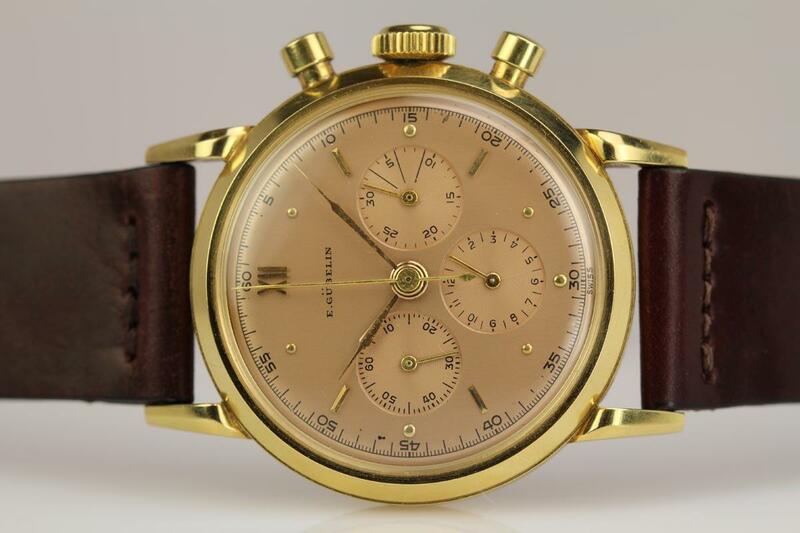 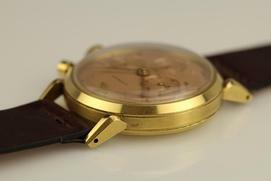 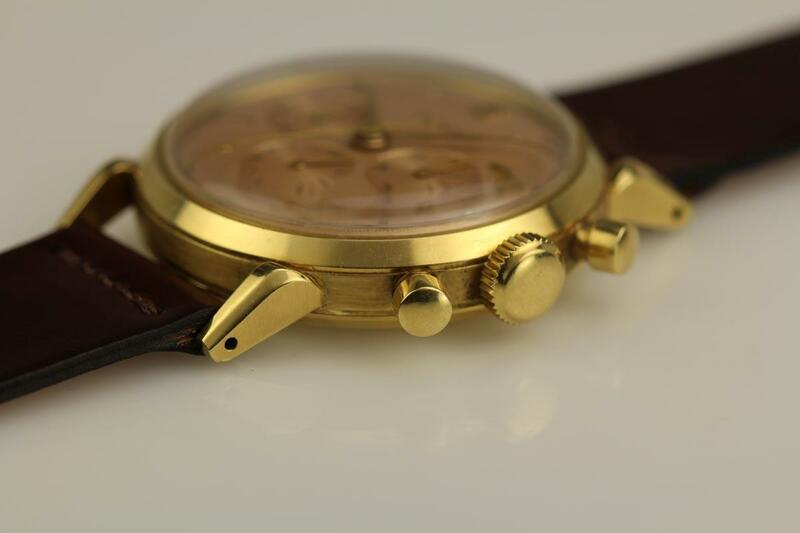 This is an exceptional example of a 1950s 18k yellow gold Gübelin chronograph with a copper color original dial. 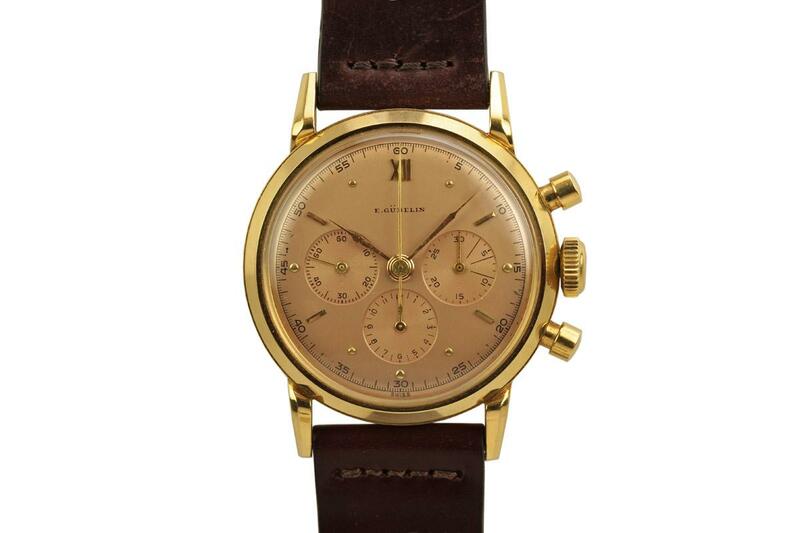 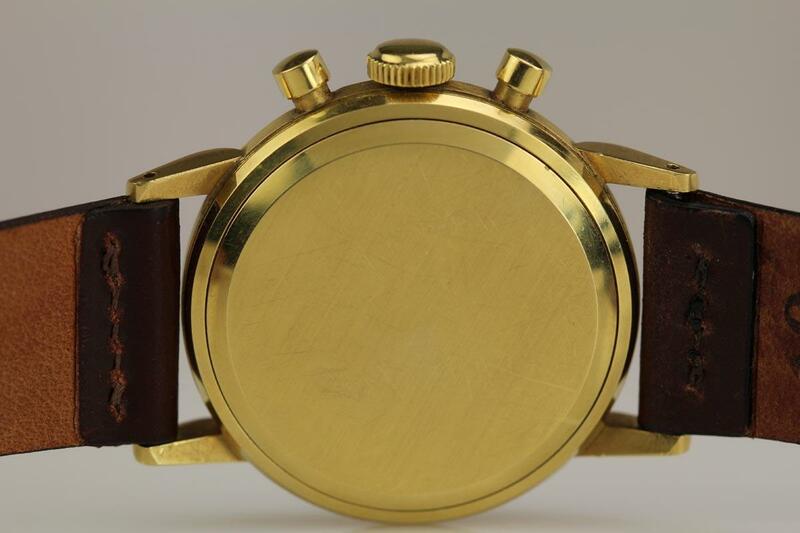 This watch is in mint condition with an unpolished case and an excellent condition dial. Gübelin is a high end brand from Switzerland say equivalent to Tiffany and Co in the U.S. 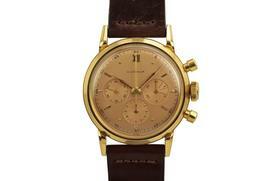 They sold many high end watches including Patek Philippe, Audemars Piguet etc.